Afro-American Center opened on Leon Street. The University, which now provides scholarships annually to 200 minority students, recently announced the establishment of a new Afro-American Studies program at the Boston campus. Ethel G. and Reuben B. Gryzmish Hall dedicated in honor of a distinguished law alumnus of the Class of 1912 and his wife. First issue of The Onyx, a student newspaper designed for people of color, published. John A. Volpe Hall, named in honor of former Governor of the Commonwealth of Massachusetts, dedicated. Contains College of Criminal Justice, classrooms for Criminal Justice and for general University use. The Board of Trustees votes to designate Gryzmish Hall and Volpe Hall as the Asa S. Knowles Center for Law and Criminal Justice. Byron K. Elliott Hall dedicated in honor of the second Chairman of the Northeastern University Corporation and Board of Trustees. Office of the National Commission for Cooperative Education established on the Boston campus. Institute for Chemical Analysis, Applications, and Forensic Science (later the Barnett Institute) is established. Property at 96 The Fenway acquired for use as a faculty center. Formerly known as the Student House, the building also provides dormitory accommodations on the upper three floors. Headquarters established on the Boston campus for the Institute of Off-Campus Experience and Cooperative Education. The Institute will operate as an entity entirely separate from the University. Seventy-fifth Anniversary Convocation, October 3. NUPrime, Project Ujima, and Alternative Freshman Year programs implimented to help students prepare for college. Norman and Helen Cahners Hall dedicated. Diamond Anniversary Development Program concluded, raising of $67.8 million. American Assembly of College Schools of Business accredits graduate programs in Business Administration and Professional Accounting. Ford Hall Forum, oldest continuously operating public lecture series in the United States, located on campus. Asa S. Knowles retires, is replaced by Kenneth Gilmore Ryder. Asa Knowles becomes Chancellor of the University. Master of Science Program in Forensic Chemistry approved. Endowed Chair on Cooperative Education designated the Asa Smallidge Knowles Professorship of Cooperative Education. Designation of Health Service Center as Dr. George Martin Lane Health Service Center. First election held to determine whether a majority of the faculty favor establishing a faculty union, November 6. The voted was inconclusive. Office of Community Development established to foster and strengthen Northeastern's relationship with the community. John A. Curry appointed Vice President of Administration. Second election held to determine faculty support for a union. The union movement is defeated, March 16. Master Plan for Campus Development approved by Trustees, June 1. Alternative Freshman Year Program initiated by University College. 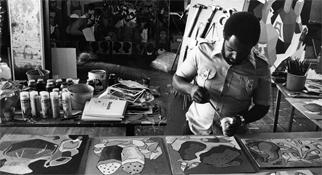 African-American Master Artists in Residence Program initiated. Paul Lepley appointed Dean of Bouvé College. Geoffrey Clarkson appointed Dean of College of Business Administration. Roland Goddu appointed Dean of College of Education. Russell E. Call children's center opened, providing day care. First International Week sponsored by International Student Forum and Office of International Students. Richard Astro appointed Dean of Liberal Arts. Arthur Brodeur becomes first Vice President of Public Affairs. Government Relations Office is established under leadership of Charles Coffin. West Hall dormitory construction begins, the dormitory is later dedicated as Willis Hall in honor of Robert and Betty Willis. The Executive MBA Program is initiated by the College of Business Administration. Northeastern purchases the Boston Arena. College of Liberal Arts becomes College of Arts & Sciences. Vice President Daniel Roberts appointed Treasurer of the University. Dean Melvin Mark becomes Provost. Professor Karl Weiss appointed as the First Vice Provost for Research and Graduate Programs. John O'Bryant appointed Vice President of Student Affairs. Gerald Schumacher becomes Dean of Pharmacy. Michael Meltsner appointed Dean of the School of Law. John Jordan becomes Dean of University College. George Harris appointed Director of Administrative Computer Services. The renovated United Realty Buildings are dedicated and named to honor Dean Wilfred Lake, Professor George H. Meserve, Jr., Professor Frederick Holmes, and Professor Winthrop Nightingale. The Excellence in Teaching Awards program initiated. A Research and Scholarship Development fund established. The Distinguished Professor Awards program established. The First World Conference on Cooperative Education held at Brunel University in England. Publication of Northeastern Edition begins.